Glad you liked it. 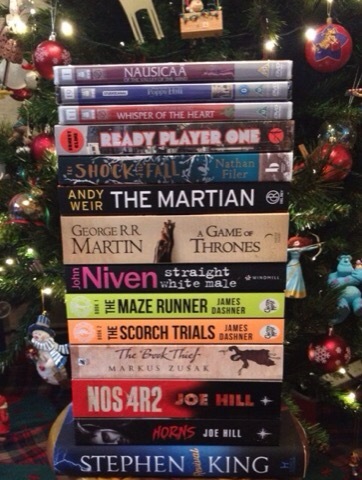 Love the book Jenga photo. I know what it’s like to have a lot of commitments. It was my birthday on the weekend so I didn’t blog too much either. I did put a up a quiz today though. I loved this book, too. 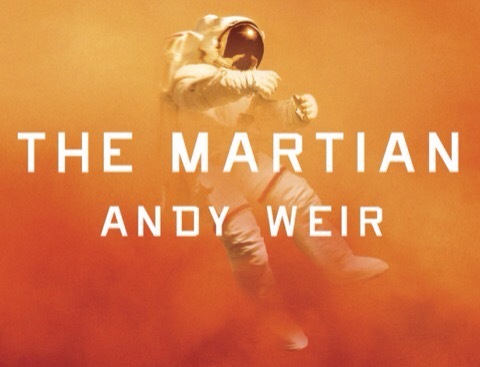 The only nitpick I had about it is [SPOILER] is it was Watney has problem, Watney quickly solves problem, repeat. It never seemed like he was in any real danger and his survival was never in doubt, so it kind of deflated the tension. But overall it was great, and I’m really looking forward to the movie. Maybe Ridley Scott actually won’t fudge it up for once. Well, this is true. I suppose [SPOILER] I never exactly doubted for one second that he would survive. But that’s okay – I don’t like tension. 😉 I require all books I read to have happy endings, whereas I often like sad endings to movies. Weird. Hey! As for that NOS4A2 title difference, you’ll be happy to know that I start the review out on Wednesday with a little story about that difference. Because, you see, I live in England…… 😉 But I actually now want to hear how you say Nosferatu? I must say it the English way as the ‘R’ almost makes more sense. The English one would be NOS-4(fer)ar-too. Why the extra R sound? It’s not Nosferartu. Oh, and it’s weird how NOS4A2 is NOS4R2 in England, where I hear you live. I’ll have my review up soon if you’re interested 🙂 I definitely enjoyed it! It’s a great book, Cindy. Either way, book or movie first probably matters little. Both will give you an exciting, emotional ride, I think. I’m glad you liked the book, Michael. I believe you! It’s really different but that’s partly why I loved it! My daughter is finishing it this week in prep for our screening this coming weekend. You may hate doing book reviews, but this is great! And I LOVE that book cover! I’m slowly creeping up the hold list at my library. I was #28 when I first placed the hold the end of July, but as of this morning I’m #10. Yay! Lol. Thanks! I really struggle with what to say about a book since, like, I’m not a writer & the author IS. Or… Whatever. 🙂 lol – You’re getting there! I hope those other nine people read it quickly so you can read it SOON. 😉 It’s so good! Such an awesome book! Do more reviews! I never learned how to read!!!!!!!!!!!!!!!!!!!!!!!!!!!!!!!!!!!!!!!!! 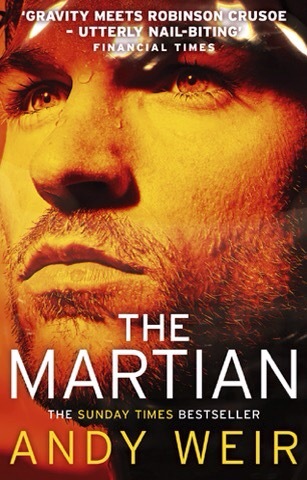 The Martian is the best book I’ve read in the past few years. I loved every single page of it. Can’t wait for the film. And I hope they leave his pondering about Aquaman controlling whales in the film, I loved that so much.